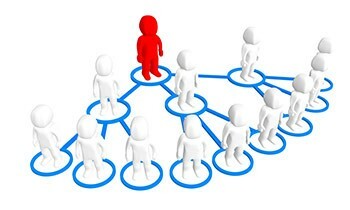 When business people network, they tend to look for people with complimentary jobs or people in their target markets. While this is a good short-term way to connect with people, if you want to build lasting relationships you should connect around topics of interest. If you have an interest in animal welfare, gardening, or gourmet foods for example find people who share that interest. Sharing a topic of interest gives you more to talk about than just business. It also helps you stand out. If a person knows several people in your industry, what will make you stand apart? If you have had conversations about something they care about. they will remember you. More importantly, if you are discussing something that interests you, you are more animated and passionate than if you are simply talking about what you do for a living. That shared interest also forms a bond that holds the key to growing that relationship from acquaintances to friendship. Who are you more likely to work with? An acquaintance or a friend? Moving beyond business, you have now created connections to go to events based on common interests, that can help make a difference on issues you both care about, and built a friendship that can last. Focusing on topics of interest takes your networking beyond business and creates true relationships.